Restore deleted, lost, formatted or corrupted files from any storage device. Recover 1000+ file types: photos, videos, office documents, emails, audios, etc. Fully recover files that may be accidentally deleted, lost or changed (including file loss due to “Shift + Del”). Retrieve files that were lost even after computer operating system crashing, during system update or reinstallation. Allow you to preview items that were removed from the Recycle Bin and fast recover the desired ones. Offer a reliable and instant solution to get back lost files from any formatted device or drive. Easily recover files lost or deleted due to any hard drive failures. Greater flexibility means a higher chance of full recovery. Recover missing data caused by partition formatted, re-partition, partition being mistakenly deleted, improper cloning, etc. Recover data that has been deleted, corrupted or damaged by virus attacks such as PC virus, worms, Trojan horses, and other malwares. Help efficiently in restoring your lost data from inaccessible/raw partition or disk, with the highest recovery rate. Why Lost Data Can be Recovered? Why Lost Data Can be Recovered? Data lost or deleted in any situation, even in cases of a severe crash occurrence may look like a permanent loss, but are still deeply stored in a hidden part of the drive. AnyRecover applies high-tech scanning functions to find files to the last byte and reliable recovery techniques to recover any data. Want to recover files from your PC or SD card? Let AnyRecover data recovery for Windows help you find any traces of files you have deleted; It can get back lost data from any rewritable storage media you have. you can retrieve any types of files, even if the files were deleted long time ago. AVI, MOV, MP4, M4V, WMV, 3GP, 3G2, MKV, ASF, FLV, SWF, MPG, RM/RMVB, MPEG, etc. JPG/JPEG, PNG, GIF, TIFF/TIF, BMP, PSD, CRW, CR2, NEF, ORF, RAF, SR2, MRW, DCR, WMF, DNG, ERF, RAW, etc. MP3, WAV, AIF/AIFF, M4A, WMA, MID/MIDI, OGG, AAC, etc. Archives (such as ZIP, RAR, SIT, ISO, etc. ), exe, HTML, SITX, etc. This Windows data recovery tool promises to completely get back all your lost files from any device, with a guaranteed 98% recovery rate. AnyRecover helps recover lost files 100% safely without overwriting original data. The recovered files can only be accessed by you. 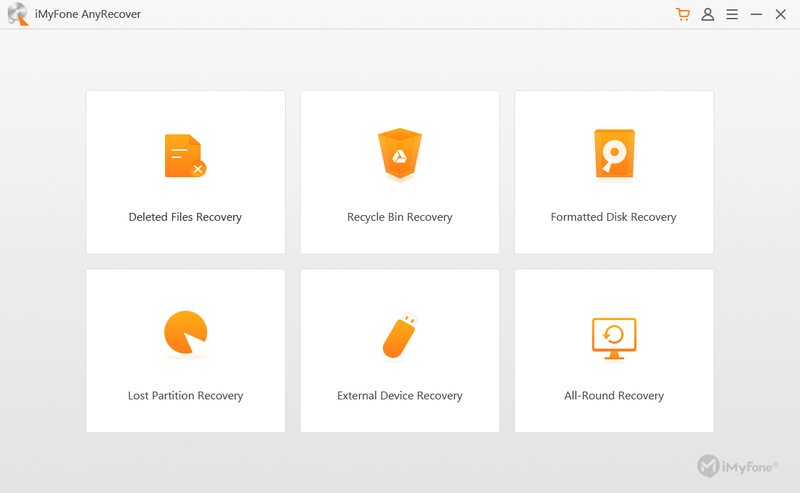 Launch AnyRecover software and select a data loss scenario mode. Select the location and file type, then click on “Scan” to start the scanning process. Preview the scanned files. Select data and click “Recover” to retrieve the lost data. Absolutely incredible! 7 years ago, I lost 60000+ files as the hard drive went corrupted. I found AnyRecover and it had restored almost all of the files I had lost. Thank you! 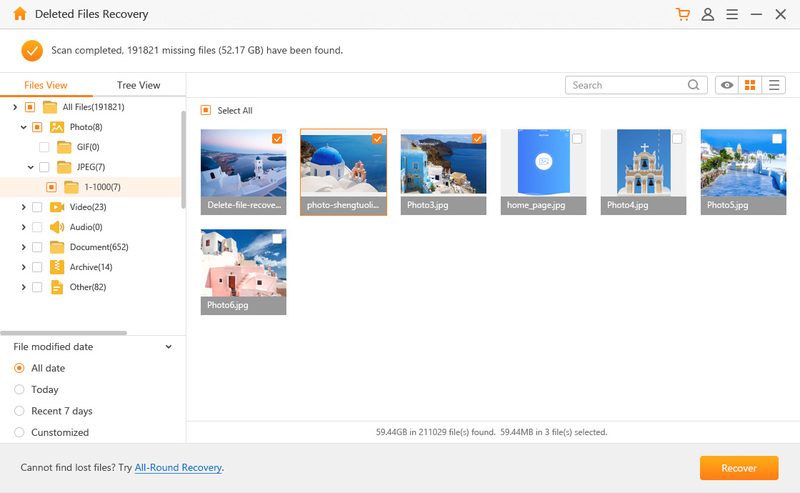 I just used AnyRecover to retrieve my daughter's photos on my E: drive. All the photos are back with the original quality. I give it 5 stars. Easiest way to recover lost files. Despite pretty simple interface, it provides you high and fast usability. This is the fastest recover tool I've ever seen. AnyRecover did recover most of my files that got lost a month ago. It worth every cent, highly recommend. I formatted my Seagate external hard drive with 320GB. My photos, business PDFs are gone. Fortunately, I found AnyRecover. All the data were scanned and recovered. I spent much time recovering my lost files. I decided to finally try this tool assuming it wasn't going to work. But it‘s as simple as running it once. I got all my lost files back. Why lost data can be recovered? If you’re bothered about overwriting or virus, worry not. AnyRecover is 100% safe for use regardless of your device or how the file was lost. It will deal with all the complicated processes with professional technology and make the recovery process easier for you.